A man on a bike tried to take a handbag from a young woman when she was walking along a road in Wakefield. 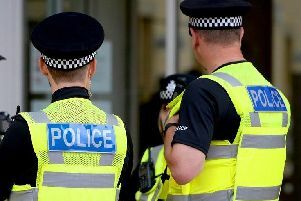 At about 8.40pm on Thursday October 8, an 18-year-old woman was walking along Denby Dale Road in Thornes, when she was approached from behind by the man. The man tugged at the handbag which caused the woman to fall to the floor and the suspect rode off down the road, away from the town centre. He is described as a tall and slim male wearing black clothing. The victim suffered slight injuries to her hand which did not require hospital treatment.